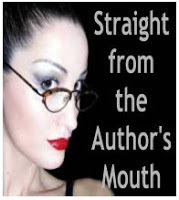 "The Glamorous World of Writing for Publication and Profit"
I will be the first to admit that it’s kind of fun to be the life of the party, where everyone wants to brush shoulders with the published author and pick my brain about the glamor of writing and how it feels to be in this sphere of authorship. I mean, who wouldn’t want to be treated like a celebrity, writing royalty, or someone whom everyone admired and aspired to trade places with? Though novelists have not always been considered the cream of the crop when it comes to public fascination and perception of as “having made it,” and all that accompanies that—this is often the view in modern times when it comes to the correlation between writing, publication, success, riches, and enjoying the good life. Within this equation, though some may picture the writer as spending day and night at a computer, writing and rewriting insanely (think Jack Nicholson in The Shining), more often than not, many of those who aren’t writers give little thought to the process and assume that the novel is a simple process that goes from idea to published book at the snap of a finger. If only that were true, I’d have far more than sixty-five books published. Yes, there can be some glamour to writing by its very nature as something everyone seems to fantasize about, to one degree or another. And yes, it feels good to hold the published book in hand (or eBook on your iPad, Kindle, or Nook) and see your name on cover. Even better to listen to the audio version of your own words (the closest thing to having your novel made into a movie or television series). Even signing copies of your book before idolizing fans can be wonderful for a writer’s ego. And, of course, making riches is every writer’s dream and some actually get there. Most do not, alas. In fact, the reality is that the typical writer may have a better chance to strike it rich at the slot machines in Las Vegas or buying that winning lottery ticket than hitting the jackpot with a bestselling novel. Out of untold numbers of novels published each year in the United States alone, including self-published, few ever turns into huge moneymakers. Then there’s the glamour of writing for publication. Though writers may occasionally bask in the spotlight at parties, book signings, etc., the reality is that much more often the writer’s life is decidedly unglamorous. Like other occupations, writing for profit is a job, first and foremost, and sitting at a desk in front of computer at any time of day or night, without regard to your appearance while wearing jeans and a tattered sweatshirt and usually all by your lonesome, is anything but glamorous. Nor would I want it any other way, as I am more concerned about focusing on work at hand and making the best it can be than measuring up to a fantasy of the writer’s life. Lastly, writing is hardly an easy task where the words magically appear and the book essentially publishes itself in practically the blink of an eye. It can often take many months or longer to complete the average novel and more months to over a year before the book is published. For most serious novelists, there is no time to rest on laurels as it is back to the grind in trying to keep up with competition, in hopes that there can be that pot of gold at the end of the tunnel in the glamorous world of writing. FBI psychologist and criminal profiler Veronica Vasquez returns to her hometown of Portland, Oregon to assist police in apprehending a ruthless serial killer dubbed "The Rose Killer," who kills beautiful women in pairs, leaving a rose on top of each corpse. 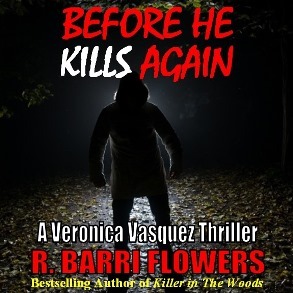 R. Barri Flowers is an award winning criminologist and internationally bestselling author of more than sixty books--including thriller and suspense fiction, relationship fiction, young adult mysteries, true crime, and criminology titles. Bestselling mystery and thriller fiction, including SEDUCED TO KILL IN KAUAI, MURDER IN MAUI, MURDER IN HONOLULU, KILLER IN THE WOODS, DARK STREETS OF WHITECHAPEL, STATE'S EVIDENCE, PERSUASIVE EVIDENCE, and JUSTICE SERVED.